Below you can view all the homes for sale in the Covington Place subdivision located in Covington Georgia. Listings in Covington Place are updated daily from data we receive from the Atlanta multiple listing service. To learn more about any of these homes or to receive custom notifications when a new property is listed for sale in Covington Place, give us a call at 404-998-4152. Don'T Forget To Include The Material Relationship Disclosure "Listing Agent Is The Principle In The Llc That Owns This Property" And Also Please Include The Buyer Signed Lead-Based Paint Exhibit With Your Offer As An Exhibit. MLS#6533943. Kurt And Sheila Team, Llc.. Rendering Is Used As A Visual Aide. MLS#6519545. American Realty Professionals Of Georgia, Llc.. This Is Truly A Must See! MLS#8537956. Savoia Realty. This 1 Story Plan With Finished Bonus Offers 4 Bedrooms/3Baths. Main Level Living. 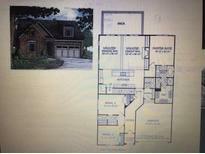 MLS#8537486. 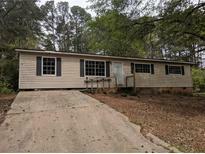 American Realty Pro Of Ga.
Attic Is Expandable As Well! This Is A Must See! 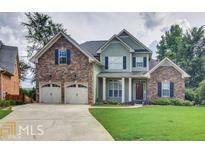 MLS#8524809. Woodforest Realty Llc. Kitchen Is Complete With Stainless Steel Appliances, Tiled Backsplash,Granite Countertops,Breakfast Bar With Cherry Wood Cabinets.Breakfast Area With Stacked Stone Fireplace Flows Into Family Area.Family Room Has Bookcase Shelving With Marble Fireplace.The Backyard Allows Easy Access To Golf Course.Master Suite A Must See-With Exquisite Master Bath.2nd Floor Bedrooms Are Large With Catwalk Overlooks The Family Room. MLS#6114578. Solid Source Realty, Inc..
Master On Main, Double Front Porch, Formal Dining Room. * Picture Is A Stock Photo MLS#8473256. American Realty Pro Of Ga.